The South Western Regional Drug Task Force has been established to address the drugs issue in the former South Western Area Health Board region. 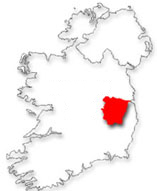 The Regional Drug Task Force has been charged with developing a strategy that will address the issue of drug misuse across a region that has a population of over 500,000 people and includes the urban areas of South and West Dublin, the commuter towns of Kildare and West Wicklow and a large swathe of Counties Kildare and West Wicklow. This has been a challenging task to which the members of the Regional Drug Task Force have responded. They have worked hard and developed a strategic plan which will play a key role in dealing with drugmisuse in the region. The damage caused by drugs and drug use to individuals and communities has been well documented. The Regional Task Force represents a partnership approach between the community, voluntary and statutory sectors in addressing the multifaceted issues related to drugs and drug misuse. It is the believe of the Task Force that it is only through this type of joint working that an issue as sensitive and complex as drug misuse can be addressed. The strategic plan is informed by the National Drug Strategy and aims to address the issue of drug misuse under the following headings; treatment / rehabilitation, prevention / education, supply control, research. Informed actions are needed under each of the headings listed above in order to bring a co-ordinated strategic approach to the problems of drug misuse. It is essential that young people receive the appropriate education to prevent them becoming involved in drug misuse and that those who have become enmeshed in drugs have access to appropriate treatment and rehabilitation options. It is also essential that the supply of drugs is reduced and where possible eliminated. Lastly, research can inform us on the nature and extent of the problem and how best to tackle it. Tackling drug misuse also requires that we tackle the social problems that contribute to misuse. This requires that all the citizens of the country work together to make a better life for all. This plan and the partnership model utilised in its development demonstrate the power of joint working between the community, voluntary and statutory sectors.